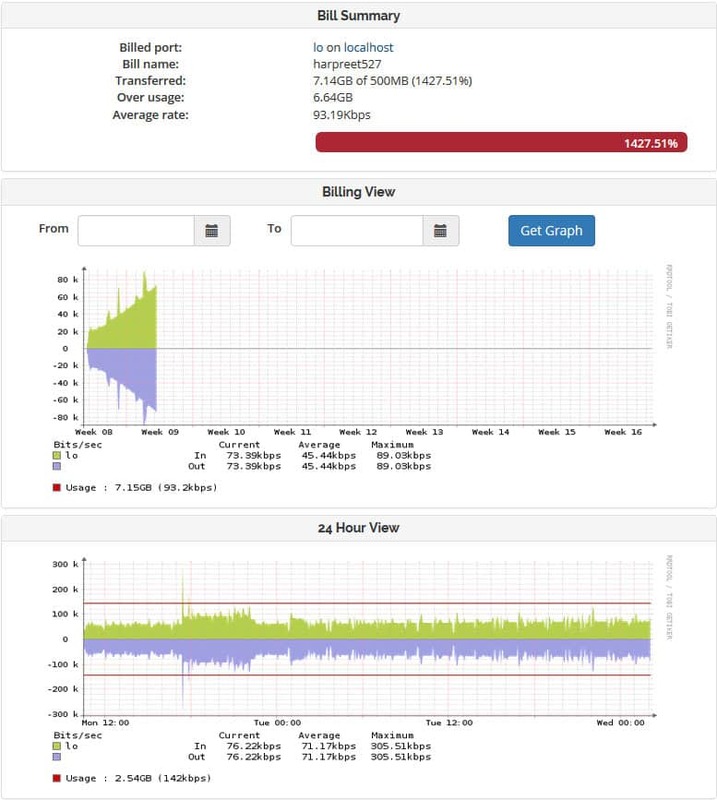 Our WHCMS + librenms module will help you to show real time usage through correct graphs, monitor bandwidth & bill for Overage. Billing on over usage based. Over usage 85% , 95 % notification sent. Display graph in client area. 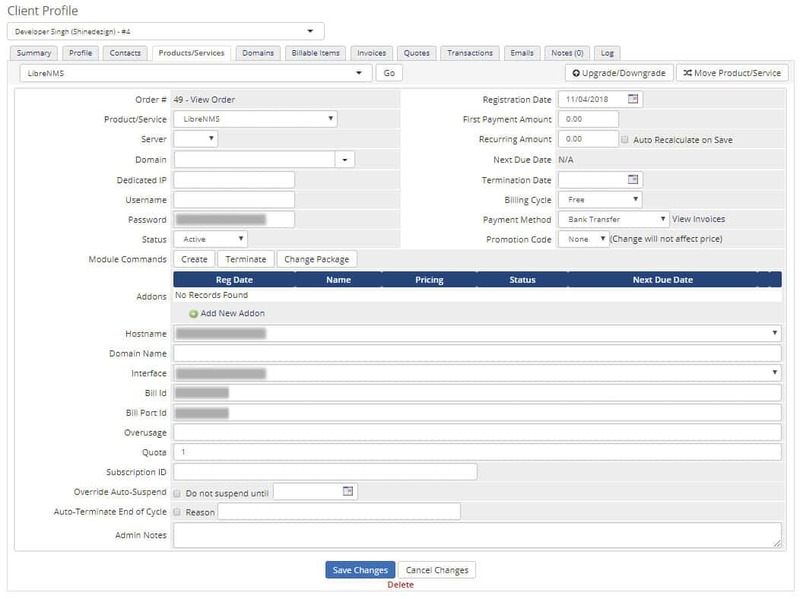 Option to change Quota of billable item per service. New! 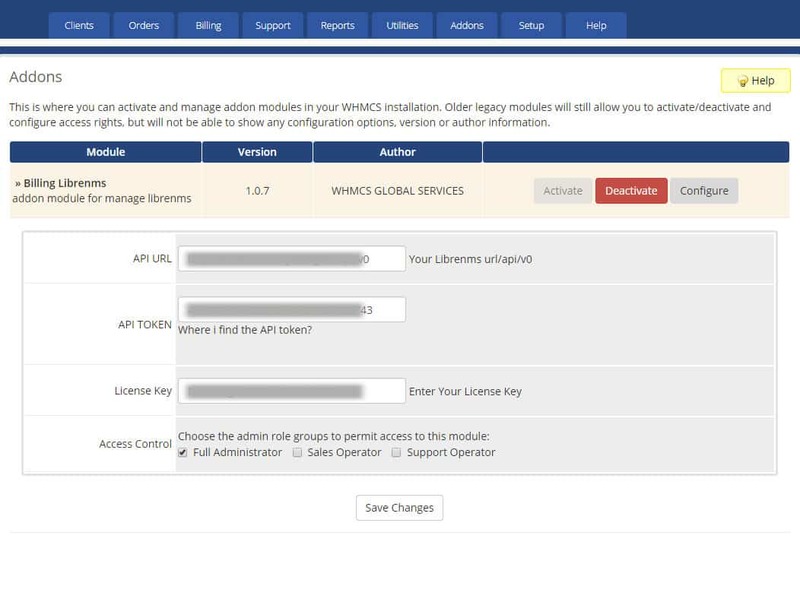 Details:- We have given a “Quota” text field with client service in WHMCS admin area. 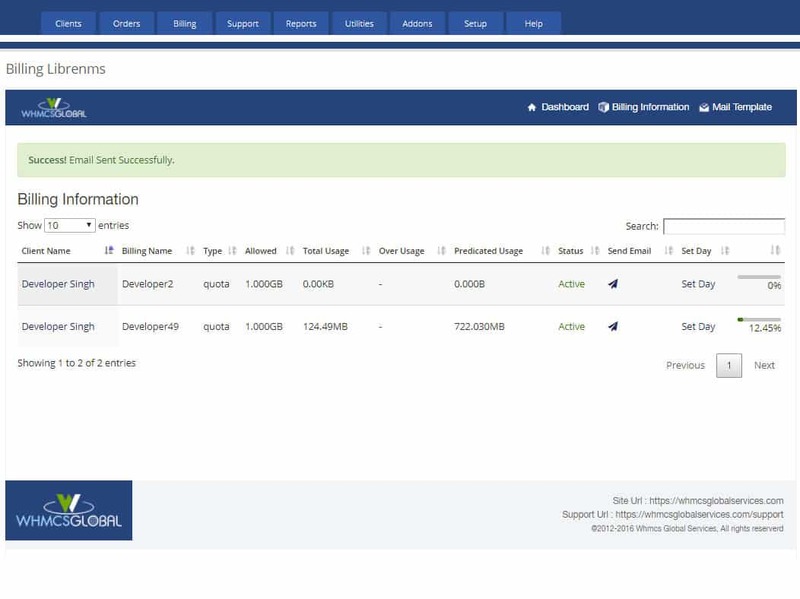 you can change the Quota for related client service. 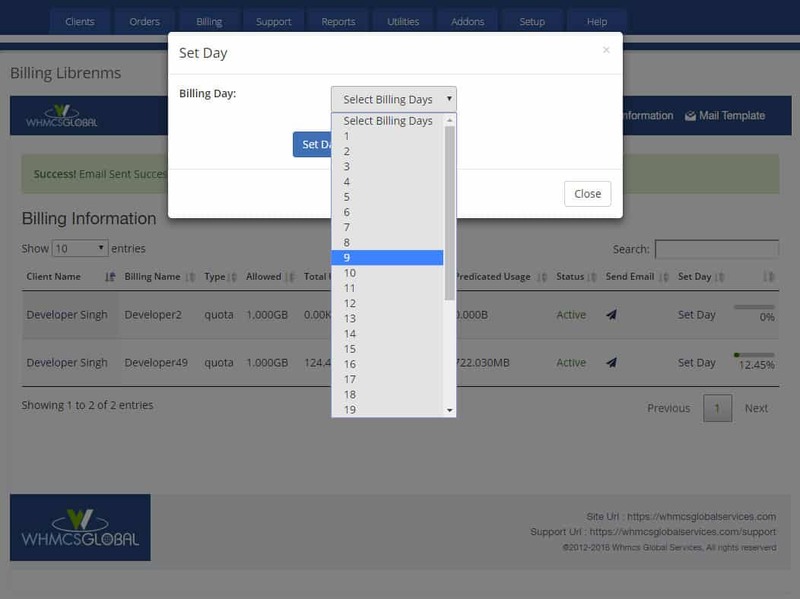 Ability to specify the billing date. New! Details:- We are providing you two modules (addon module, server module). 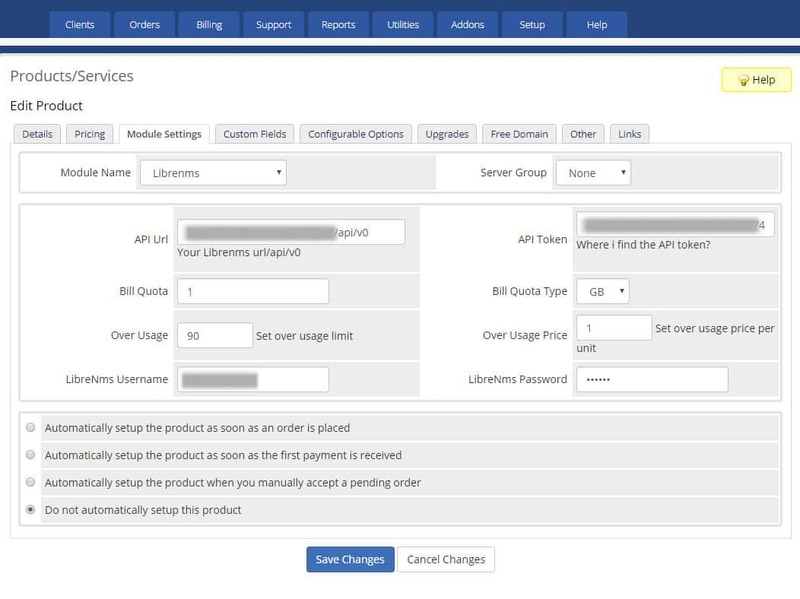 In addon module you can manage your all Librenms users bills which have created by WHMCS users.In addon module there is a option Set Day”, you can set the bill date for related user bill.